EU Mediation Law Handbook offers a highly effective way to analyse the quality and robustness of each of the EU’s twenty-nine national jurisdictions’ legal frameworks relevant to mediation (including legislation, case law, practice directions, codes of conduct, standards, and other regulatory instruments) and factor such an analysis into choices about governing law in mediation clauses and other agreements. Mediation is rapidly becoming a norm in cross-border dispute resolution among EU Member States. 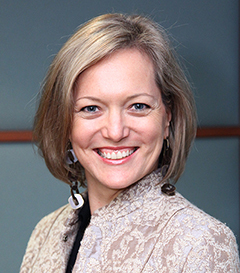 Accordingly, an important question for legal advisers to ask themselves is: Which jurisdiction offers the best legal framework to support a potential future mediation of my client’s dispute? This book responds to this question by examining the law of mediation in each Member State on a chapter-by-chapter basis. Each country analysis is based on the book’s overarching principle of a specially designed Regulatory Robustness Rating System, which is thoroughly explained in the introductory chapter. regulatory incentives for legal advisers to engage in mediation. This detailed examination clearly allows users and other regulatory stakeholders to look closely and critically at mediation regulatory regimes in order to make informed choices and develop appropriate strategies in relation to the law that governs their mediation. This is the first book to consider authoritatively what makes good mediation law and what makes a jurisdiction attractive for cross-border mediation purposes in terms of its regulatory framework. 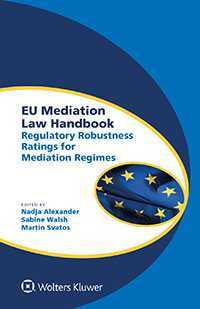 As a resource that identifies potential strengths and weaknesses of each EU Member State’s regulatory regime, this book has no peers, and furthermore, it assists the alternative dispute resolution community in Europe and beyond, in selecting the most appropriate regulatory jurisdiction for a cross-border mediation.